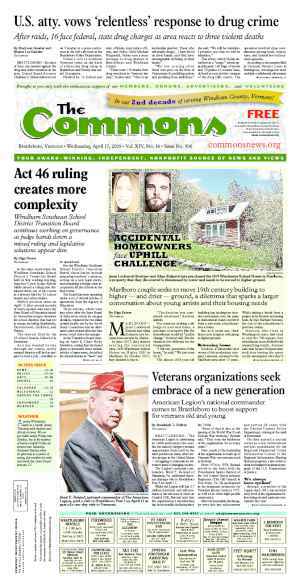 BRATTLEBORO—Based on public suggestions and comments, the committee reviewing the town charter has altered some of the changes it has already proposed to the form and structure of town government. According to member Larry Bloch, the Charter Review Commission has been reviewing public comment from meetings held at the start of the month. Originally, the commission suggested the town manager oversee an annual report on the progress of the town plan, the document that defines the town’s long-range goals and provides a strategic basis for zoning and other regulations [The Commons, Sept. 22]. Based on public feedback, the commission will recommend that the Selectboard, as the representative body elected by the people and with the authority to approach various town departments, oversee the report on the document. The proposed alteration “resonated with us fairly quickly,” said Bloch. 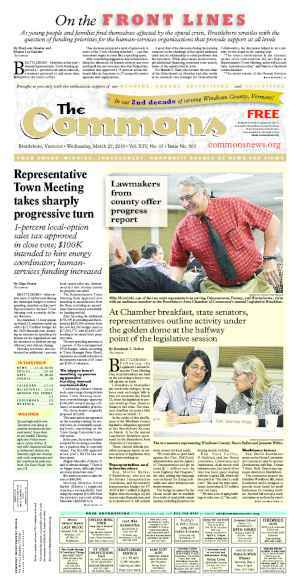 The commission has also removed its original suggestion to move the Representative Town Meeting to an earlier date. The group has also changed the proposed preamble language from “requiring” to “encouraging” compliance with the town plan. But, said Bloch, based on recent public comment, the language may change a third time. “We will continue the process next week,” said Bloch. 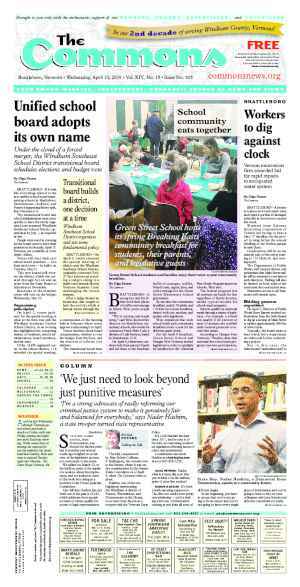 Bloch said public feedback and discussion has been helpful with a lively discussion at a meeting held at Green Street school, Oct. 28, one of three such gatherings. One member of the public, Selectboard member Jesse Corum, attended a meeting held at the Oak Grove School on Oct. 26. Corum expressed concerns regarding language in the preamble, increasing the Selectboard from five to seven members, and referendums. Commission member Orion Barber said all the suggestions at the start of the preamble are ideals, and sometimes they are met and sometimes not. Commission member Spoon Agave added ideals are worth aiming for. He said he felt five people could do the Selectboard’s work, and bringing two additional members up to speed after every election would only take valuable time from the town manager. 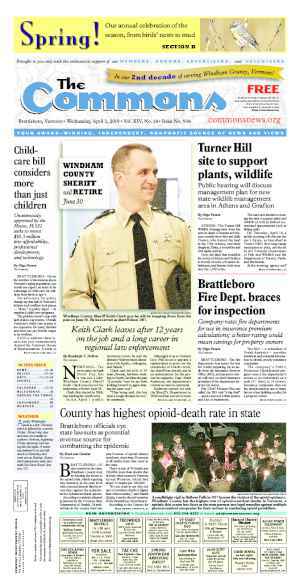 Corum also felt, at the very least, the percentage of voters signing a petition for a referendum vote should increase from the 5 percent of town voters in the proposed document to 15 or 20 percent. He said the voters elected their representatives and the bar to overturn their decisions should be higher. Bloch pointed out that a 15 or 20 percent requirement is higher than the average voter turnout in town elections. Bloch said the public, as a branch of government with its own rights and responsibilities, deserved an effective referendum process. Without it, he said, subsidiary motions at Representative Town Meeting that amend a warned Town Meeting article (like the one for pay-as-you-throw) are removed from public oversight. Many public meetings on the charter have not been well attended, say commission members. He feels people have not attended the meetings because they perceive the process is going well and “feel confident in the work of the commission,” so they don’t need to voice any concerns. Bloch also expects citizen participation to pick up as the finalization date approaches. “We feel we’ve done good job bringing changes to the charter,” said Bloch. Agave expressed a different opinion. “It’s disappointing people are so alienated from the official world around them,” he said. He said his take on the situation was people are “horrifically uniformed” about their government, and that to 99 out of 100 people, the charter is meaningless. Agave views this phenomenon as a “failure of the education system” and the lack of civics-centered courses and wondered if the lack of such classes was an “inadvertent or deliberate omission” from the curriculum. According to Bloch, the commission has extended its original timeline. The special town meeting for the Town Meeting Representatives to vote on the proposed changes is now scheduled for Jan. 22. The town will announce the date for an informational meeting for Town Meeting Representatives to discuss the changes in early January. The public will be invited to attend. A public meeting to discuss increasing the Board of School Directors from five to seven members and other final commission recommendations will take place Nov. 18 at 6 p.m. in the Selectboard meeting room on the second floor of the Municipal Building. Originally published in The Commons issue #74 (Wednesday, November 3, 2010).